If you live in certain parts of the country, Safeway might already be a household name. For many, Safeway has long been familiar — the brand dates back to 1915! The chain has always focused on helping people save on groceries. In fact, the name “Safeway” refers to the “safe way” to shop: with cash, instead of on credit. Now, you can use cash, debit, credit or whichever futuristic payment method I can’t keep up with at Safeway stores. Likewise, you have lots of options for shopping your way to get the best deals on groceries. 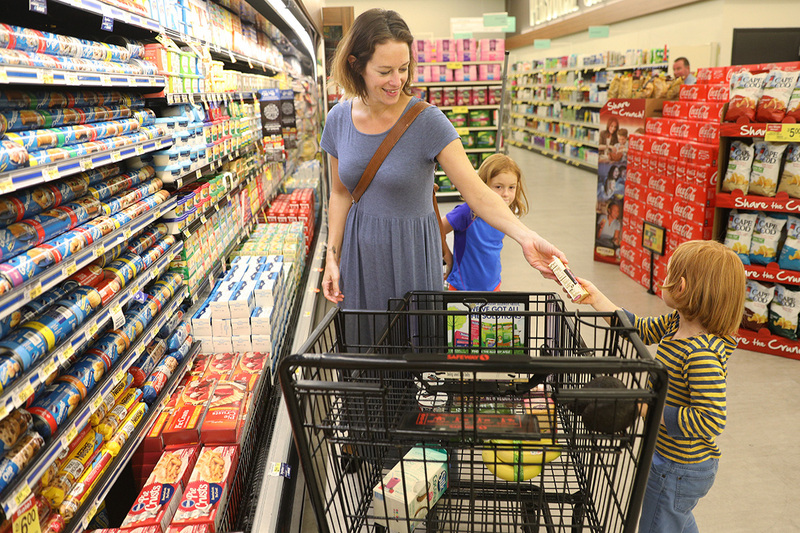 Get started with these eight tips for saving money at Safeway. The Safeway Club Card is your ticket to discounts and sales at your local Safeway store. Take a moment to sign up, and make sure to attach your phone number to your account so you don’t have to worry about carrying your card! Just for U is Safeway’s hub for digital coupons. Register and link your account to your Club Card to save coupons before you head to the store. Then all you need is your Club Card to get your discounts at checkout! Just for U even lets you know when a product you like is on sale. Register for Safeway Gas Rewards to earn one point per every dollar you spend in the grocery store or at Safeway’s pharmacy. When you buy retail gift cards at Safeway, you’ll receive two points per dollar spent. Then, save at the pump. Once you’ve earned more than 100 points, you’ll get a 10-cent-per-gallon discount, and when you achieve 200 points, you get 20 cents off per gallon. Then, start earning again for your next fill-up! You can track your progress in the Safeway app. Participating gas stations include Sunoco, Chevron and Texaco. Safeway is generous with its discounts on multi-item packages. Look for two-for-one, two-for-$4 and two-for-$5 sales. Sometimes, you can even win big with a deal, like 10-for-$4 on Safeway’s house-brand yogurt. As a longtime Safeway shopper, I relied on its house brands to fill out my pantry. Signature-label products are easiest to find, but you’ll also find a nice selection of O Organics and Lucerne dairy products. All offer considerable savings over many brand-name choices. Want to pick up your groceries and prescriptions in the same trip? Switch to the Safeway pharmacy. You’ll receive a $25 Safeway store gift card when you transfer your prescriptions from another pharmacy or bring your new prescription to Safeway. Then, you’ll get a prescription stamp card. Fill five prescriptions and redeem your stamp card for a $50 Safeway store gift card. Government-sponsored health care plans are not eligible for this reward, but Safeway does offer a 10% coupon to active and retired military personnel who show their ID card at the pharmacy. Last-minute trips to the liquor store before a dinner party are a total drag. Stock up at Safeway instead. Mix and match spirits and wine to save 10% when you purchase six items. Or look for buy one, get one free deals on select brands — you’ll be a wine connoisseur in no time. Penny Hoarders know Ibotta makes it easy to earn cash back on groceries. Search the Ibotta app for rebates as you make your shopping list, then verify your receipt once you get home with the goods. Your Turn: Do you shop at Safeway? What savings tips would you add to our list? 7 Ways to Save at Safeway (in under 60 seconds) from The Penny Hoarder on Youtube.